TORONTO - The Philadelphia 76ers might be a different team. But it was a similar result for the Toronto Raptors. 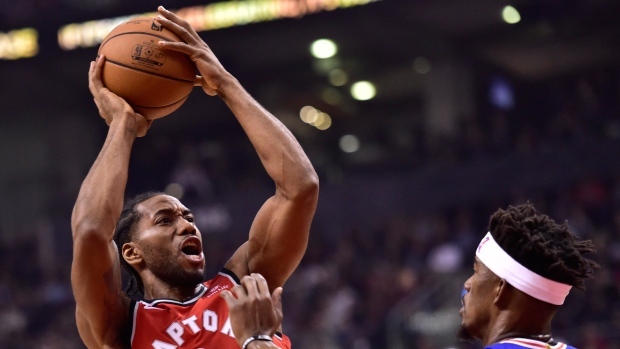 Kawhi Leonard scored 36 points to lift the league-leading Raptors to a 113-102 victory over Jimmy Butler and the new-look Sixers on Wednesday, Toronto's 13th consecutive win over Philadelphia at home.